Acworth, GA (November 15, 2018) – November 27, 2018 is #GivingTuesday, a global day of giving that harnesses the collective power of a unique blend of partners – charities, families, businesses, and individuals—to encourage philanthropy and to celebrate generosity worldwide. #GivingTuesday is held annually on the Tuesday after Thanksgiving, this year, November 27, 2018, to kick off the holiday giving season and to inspire people to give. Millions of people around the world have participated in the movement. This year, Facebook and PayPal will be matching up to $7 million of funds raised on Facebook for US nonprofits (this is $5 million more than last year). Whether you have $10, $100, or $1000 to give, it all adds up for us! Especially when being matched! 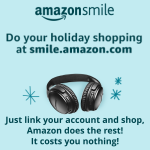 This is also a great way to maximize an end of year tax deduction. In our first #GivingTuesday, last year, we raised $1,870… Our goal this year is $2,500. 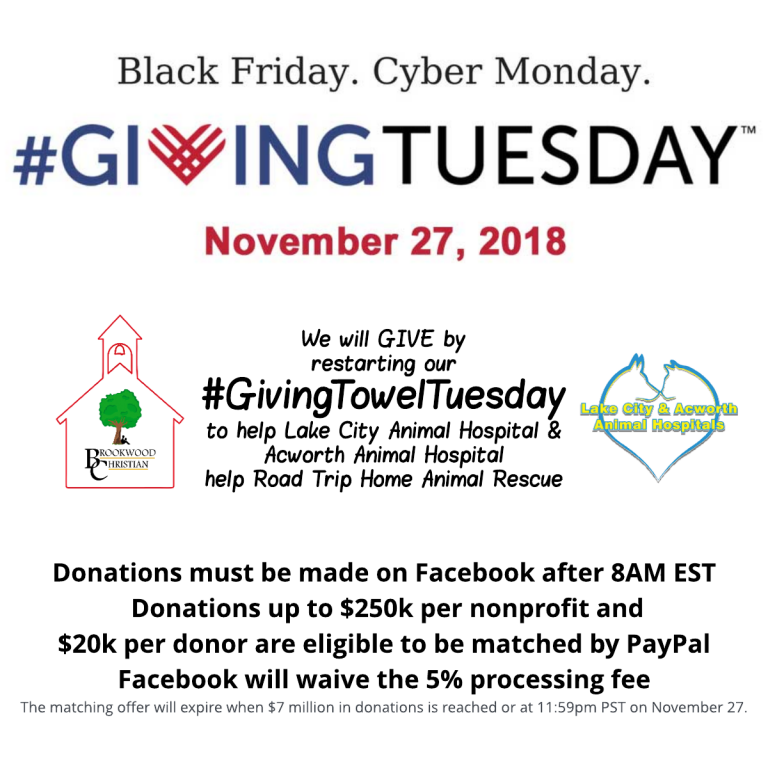 In the spirit of giving, we will rekindle our #GivingTowelTuesday campaign to donate towels to Lake City & Acworth Animal Hospitals (one of our biggest supporters) to use for their Road Trip Home Animal Rescue support. On the last Tuesday of the month we will collect gently used towels and blankets to donate to help them help the rescue. Those who are interested in joining Brookwood Christian’s #GivingTuesday initiative can visit https://www.facebook.com/donate/567705290358845/. Brookwood Christian School is a private, non-profit, non-denominational Christian school that serves students who have not been successful in public or private schools due to their unique learning needs: individual or multiple learning disorders such dyslexia, reading & language processing disorders, auditory processing disorders, attention deficit disorder, neurological disorders, and other specific learning disabilities. Most of our operating budget comes from tuition payments augmented by the Georgia SB-10 scholarship program. Eighty-six percent of our students receive some sort of financial assistance. Recognition such as this helps with our fundraising which helps keep our operating costs and tuition low. It inspires people to take collective action to improve their communities, give back in better, smarter ways to the charities and causes they believe in, and help create a better world. #GivingTuesday demonstrates how every act of generosity counts, and that they mean even more when we give together. or follow @GivingTues and the #GivingTuesday hashtag on social media.